“We have a French patisserie at Pera Palace, a traditional one, the only one in Istanbul,” begins general manager Pznar Kartal Timer. “The pastry chef there uses the same recipes that I use at home. “The mass-produced ones just do not taste like those your mother baked; so I gave them my recipe. That, in a single anecdote is the essence of Pera Palace: an outstanding, international-standard luxury hotel, the rival of any in Istanbul, but with a character a world away from the corporate identities of its competitors. Pera Palace traces its origins back over a century to the arrival of the Orient Express, which terminated in the city for from 1883. With no luxury European-style accommodation available in town, the backers of the luxury railroad decided to start afresh, with the Alexander Vallaury-designed hotel opening in 1892. Situated on the Golden Horn on the banks of the Bosphorus and blending elements of the Art Nouveau, Oriental and Neoclassic style, the hotel was an instant success and became the place to be seen during its golden period in the build up to World War I. After the Great War, the precious white Carrara marbles and exquisite Murano glass chandeliers welcomed Ernest Hemingway, Alfred Hitchcock, and Agatha Christie - who is said to have begun Murder on the Orient Express within its walls - as well as that bastion of Turkish nationalism Kemal Atatürk. 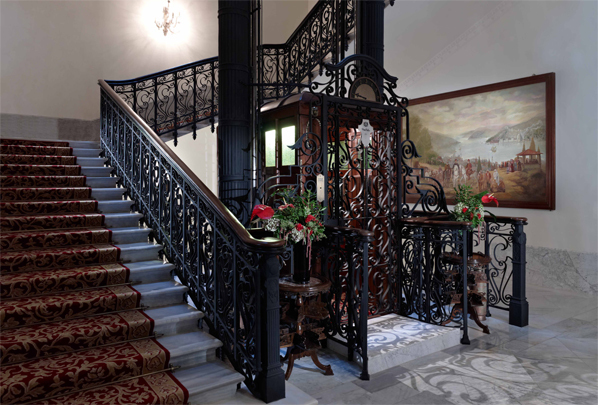 Given this storied history, it is no surprise to learn the hotel was the first in Turkey, outside of the Ottoman Palaces, to have electricity, as well as offering a home to the first elevator in the country, which endures, in its original condition, to this date. Thankfully, recent renovations - stretching from 2006 until 2010 - brought the property up to contemporary standards, adding the flourishes an international clientele would expect. A dedicated concierge, 24-hour room service, wi-fi, car rental and even a shoe shine service are all now on offer, for example. But nothing has been done to dilute the historical character of Pera Palace. When I first arrived, officials from the ministry of antiquities told me I was not going to manage a hotel, but a museum. I laughed at the time, but, years later, I see their point! “We did not touch the aesthetic of the property. It was a delicate process,” explains Pžnar. The original façade of the Pera Palace remains intact, while all rooms are now furnished with hand-woven carpets, special fabrics and artworks, while the marble bathrooms resemble a traditional hammam. Many of the rooms offer individual balconies, gazing out over the Tepebaşi district of Pera, once known as ‘Little Europe’. 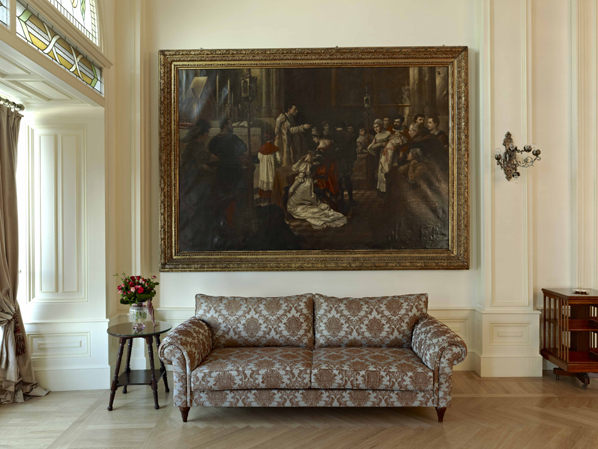 As well as the 115-rooms, five eateries are open to guests, including the elegant French themed ‘Agatha’, the ‘Orient Bar & Terrace’, ‘Kubbeli Saloon & Tea Lounge’, and the ‘Patisserie de Pera’, an Istanbul classic, renowned for its creative pastries. Pera Palace is firmly aimed at the leisure market, but can accommodate modest MICE clients seeking a break from the monotony of more corporate business hotels, with the historical Grand Pera Ballroom, the Aynalı and Paşa Rooms, and the newly built the Galata Room all available. An in-house catering team can also tailor a menu to an event’s needs. Now operating under the Dubai-based Jumeirah flag, Pera Palace is welcoming an increasing number of international guests. “Jumeirah has opened opportunities for us, their networks, expertise and clients are all beneficial to us. But we have maintained our distinct character,” continues Pžnar. “The Jumeirah motto is ‘Stay Different’. “This has given us a lot of flexibility. They respect the cultural balance and we have not been forced to change so much in order to work with them. This will come as a relief to many in Istanbul, some of whom have come to view the property as something of a venerable institution. With Pžnar at the helm, there are sure to be many more happy years at Pera Palace. 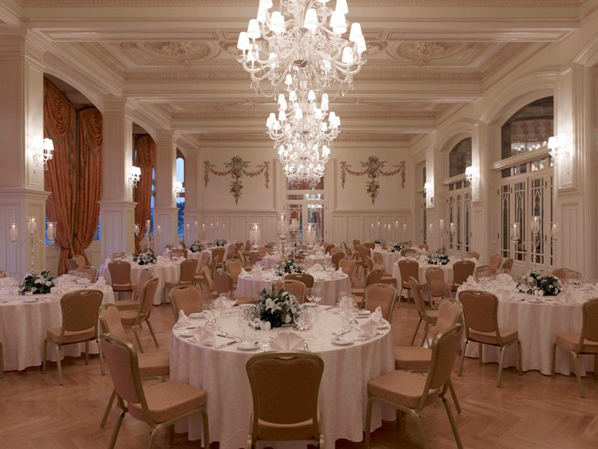 Pera Palace Hotel Jumeirah is situated in the cultural centre of Istanbul. 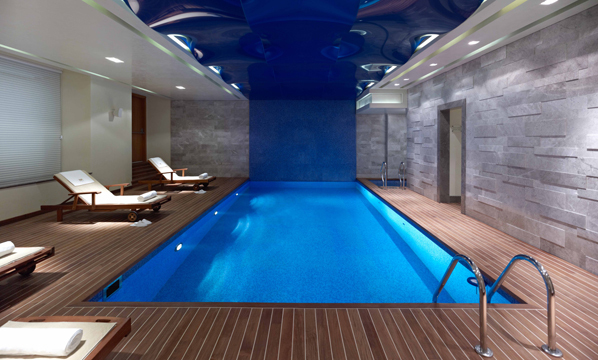 It is within walking distance of Taksim Square and only 20 kilometres from Ataturk International Airport. For more information, or reservations, please head over to the official website.